Combine cider, oil, basil, salt, pepper, and garlic in a bowl or zip-lock freezer bag. 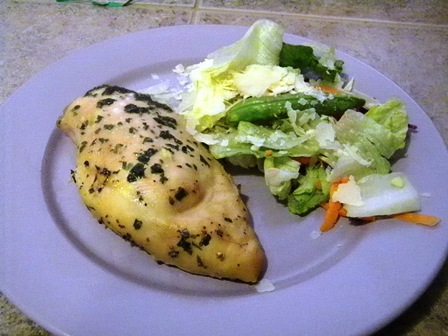 Place chicken breasts in liquid and make sure it is covered. Marinate for 6 – 8 hours or over night.